Cherish your moments for a lifetime! At Honeyz Beauty Parlour we understand that the Wedding Day is one of the most cherished and memorable days of any bride. 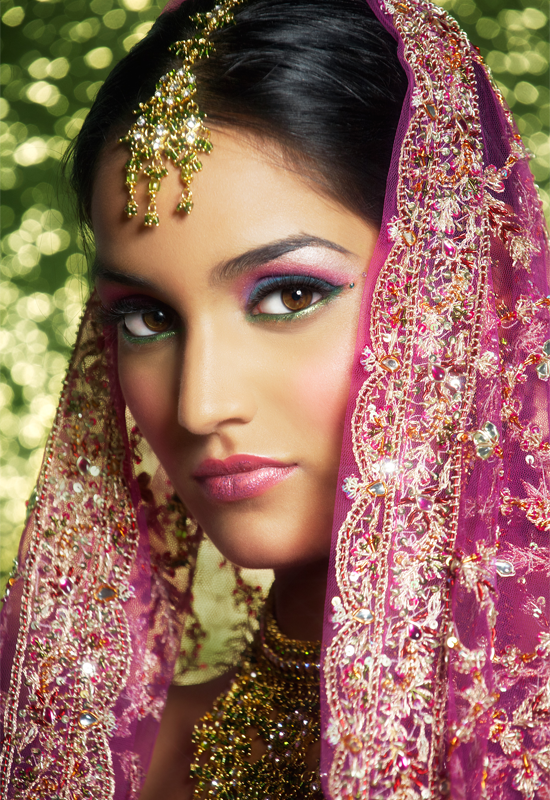 So, our Bridal Makeup Package is an all-inclusive package with over ten services. Yes, we take care of you, so you can cherish your moments for a lifetime. At Honeyz we only use the top rated products available in the market today, this combined with our years of experience we help bring out the unique individual style of each bride and we make sure that you look your very best on this day. Book in advance and ensure that everything goes smoothly! Stop by, we'll have some Chai :) discuss your skin, what you like and what you don't like and we'll chalk out a game plan for the big day. So, stop sweating Honey, call us today! Please call ahead to book your package in advance (at least a month), as the time needed for all these services has to be planned ahead of your wedding day. Get Free Mini-Bridal right now! Get to know us, and tell us your preferences. * Extended hours (past 9 pm) ₹ 1000/hr at parlour or home.